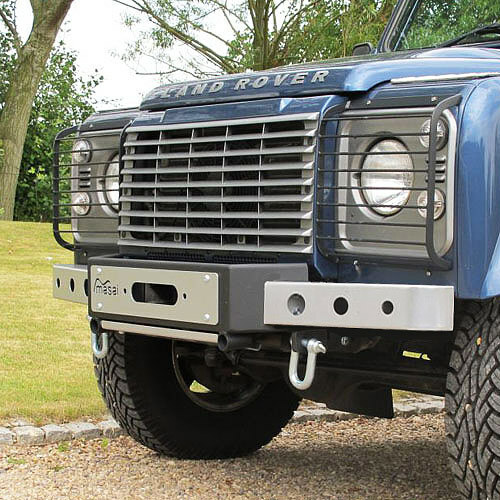 We design, manufacture and sell Front Bumpers and Winch Bumpers for the Land Rover Defender 90 and 110. 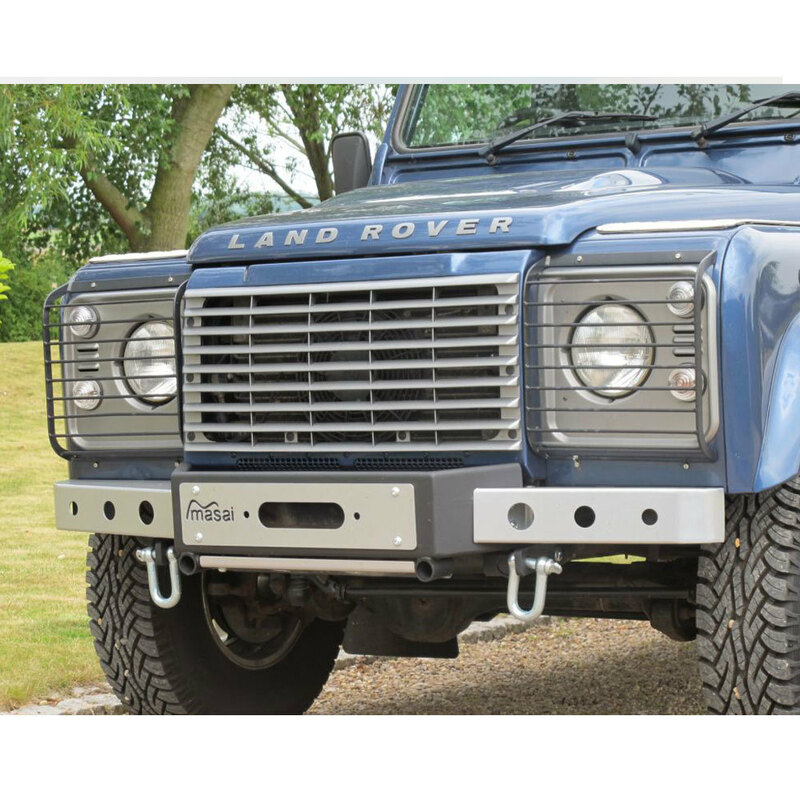 Our Defender bumpers are zinc plated steel base with powder coat paint for durability. Can be painted over to match your vehicle. 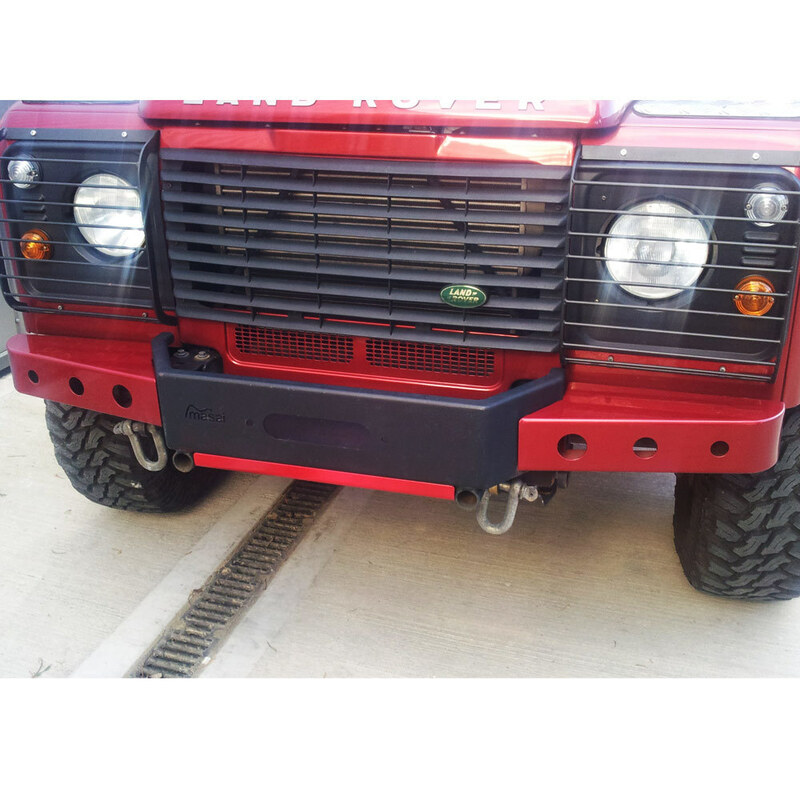 Our winch bumpers fit most winches, call us to confirm if needed. Delivered as a 3 piece kit, easy to assemble and easy to ship around the world. Extremely customisable! 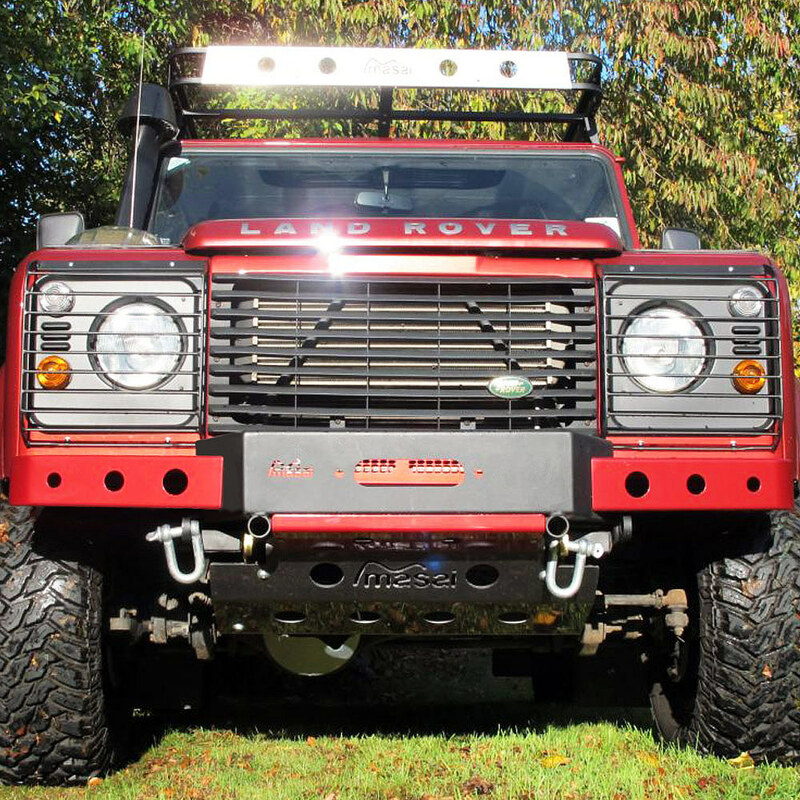 See photos above for various paint options that is possible to match your Defender! 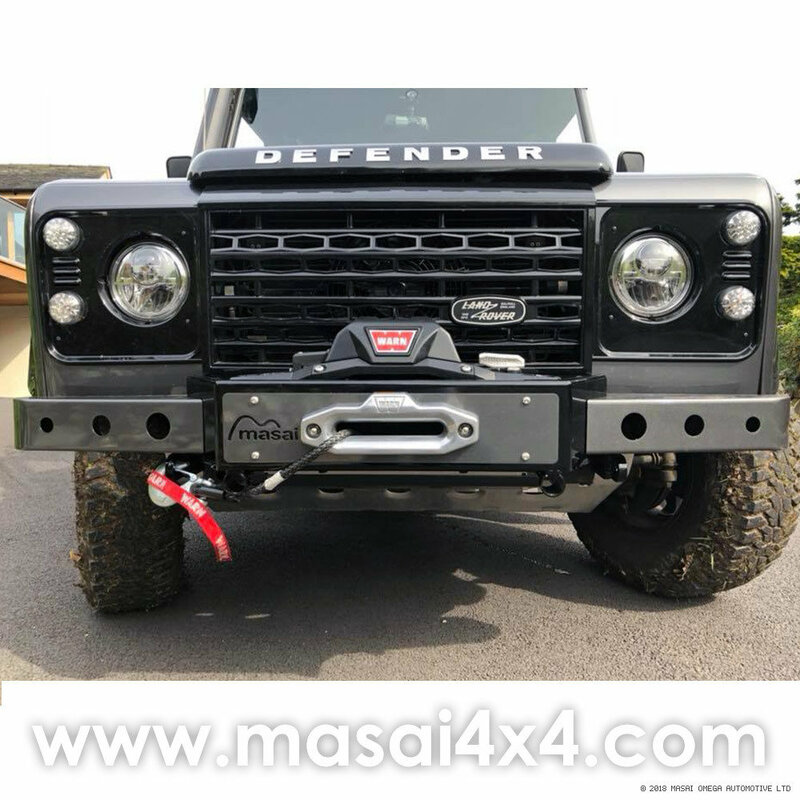 This Defender winch bumper fits most winches (not included) including a WARN winch, see photos. 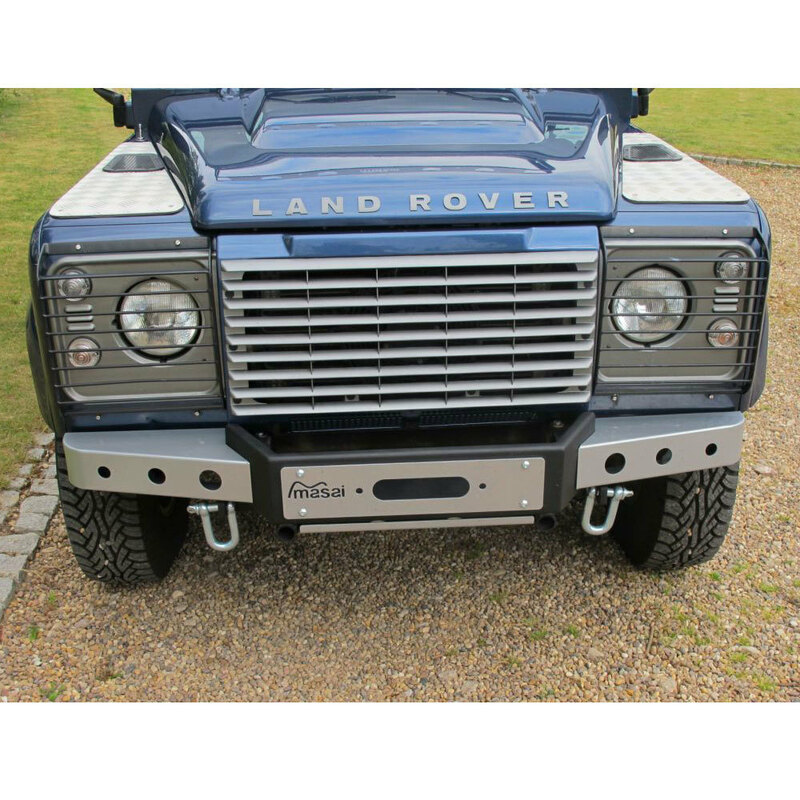 Fits Land Rover Defender 90 and 110. Black automotive powder-coat paint finish for durability. 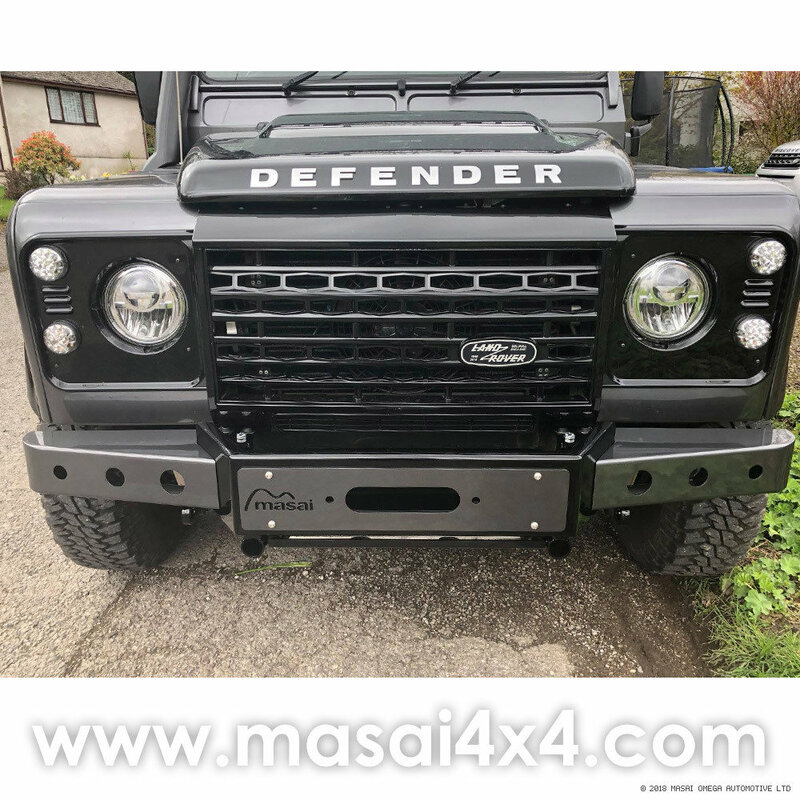 Mid section is black, side sections, and front plate are silver as shown in photos. Can be painted over to match your vehicle. 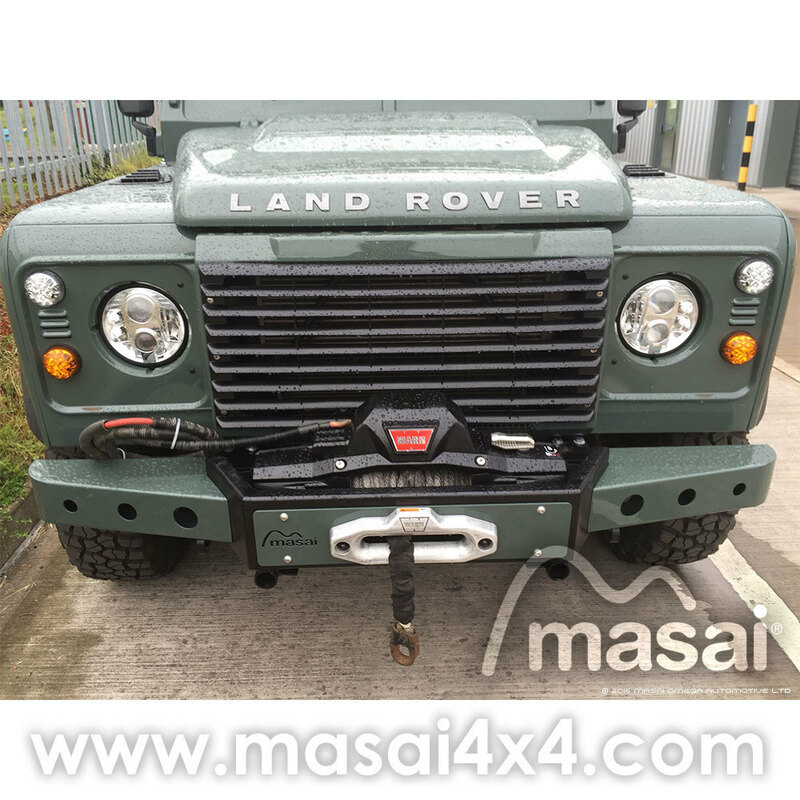 We also sell a steering guard as an optional extra. The paint is POWDER-COATED. 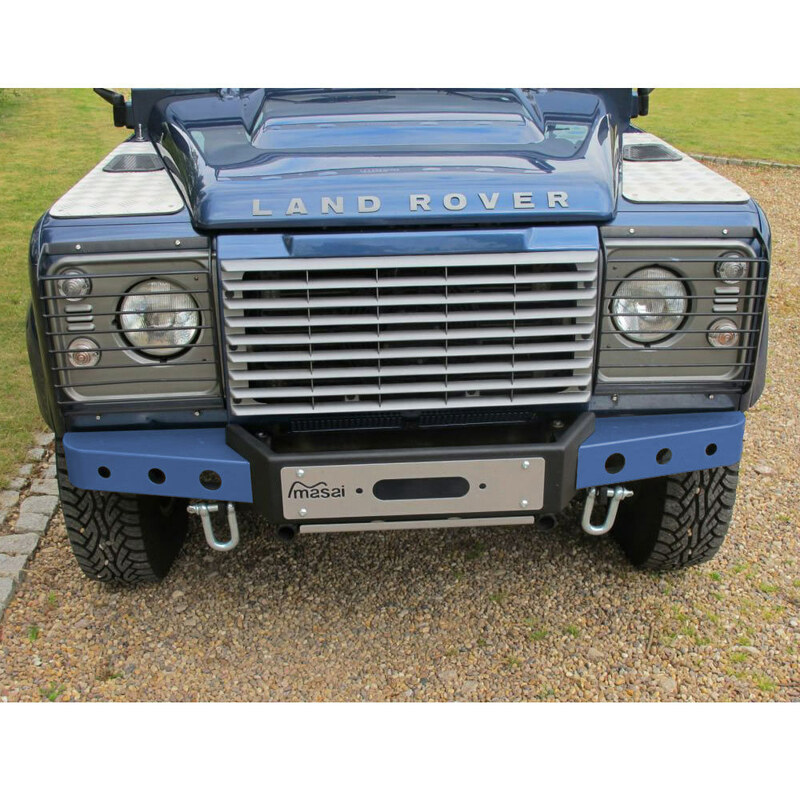 If you choose the standard zinc coating you can get both the winch bumper and the steering guard painted to match your vehicle! Shackles and clevis NOT included.